Do We Overvalue the NFL Draft? 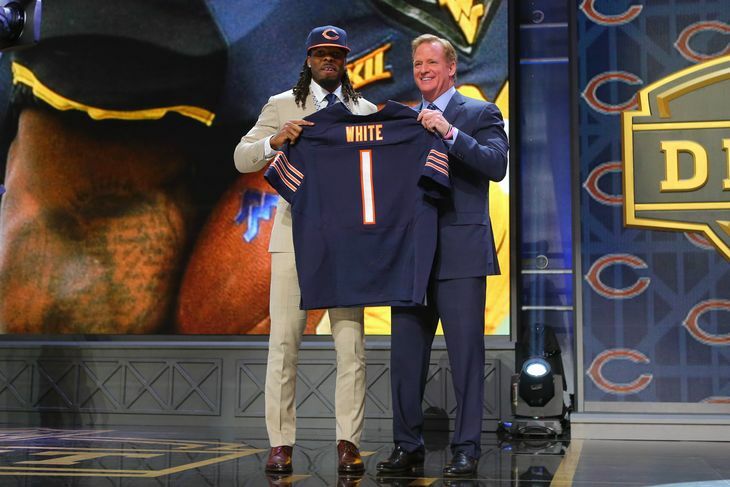 The NFL Draft took place in Chicago this past three days, as over 200 players heard their names called over the three-day event. While the draft is an important part of the NFL season, the question that I pose is simple: is the draft overhyped, or dare I say, overrated? Let’s look at the format of this event. First off, it’s been stretched out to three days now, with the first round being in primetime on its own night. Why? Then, the teams get 10 minutes to make their pick. Why? And then, when their pick is in, we have to wait five minutes to hear the announcement from NFL commissioner Roger Goodell. Why? As for the time for each pick, do you think teams really need 10 minutes to pick the player they want? For four months, all these teams have been doing is scouting players, making their draft boards, and planning out every single scenario that might happen. They could easily cut the time in half, and the teams would be okay. A few years ago, they cut down the first round time from 15 to 10 minutes, and they were fine. It could easily go down to seven, or even five, minutes and be totally fine. And then once the pick is finally in, we have to sit through a commercial break. It seemed that after every pick Thursday, ESPN went to commercial break. Even if the pick was in, we had to wait another five minutes before Goodell would trot out on to the stage and announce who was drafted. Why? The first round already takes over three hours. Think of how much time could be saved if when the pick was in, they went straight to Goodell and not a commercial break. Look, I understand the NFL, ESPN, and NFL Network have to make money, and advertisements are there for them to make that money. But you also have to keep your audience happy, and when you throw a commercial break in between every pick, the audience grows restless. If you limit the commercials to every five picks, you could get through the first round in two hours while also keeping your audience engaged and happy. And, of course, the NFL and all the networks broadcasting the draft will still make their money. Everyone wins. Now, I understand that the draft is important. Every great player that’s ever played the game has been drafted, so I can’t go on a rant on its importance. But what I can rant about, though, is about all the unnecessary hype it receives. The months leading up to the draft are ridiculous. Every move that every player makes is broken down and analyzed, affecting his ranking on people’s big boards. There’s a mock draft 1.0. Then 2.0. Then 3.0. Eventually, we get to mock draft 25.0, and 32 completely different players are being taken then from the first mock draft. And, in most cases, the mock drafts are wrong. Besides maybe the first few picks, the mock drafts from even the top draft experts are completely wrong. And, in all honesty, mock drafts are just a lucky guess as to what might happen. 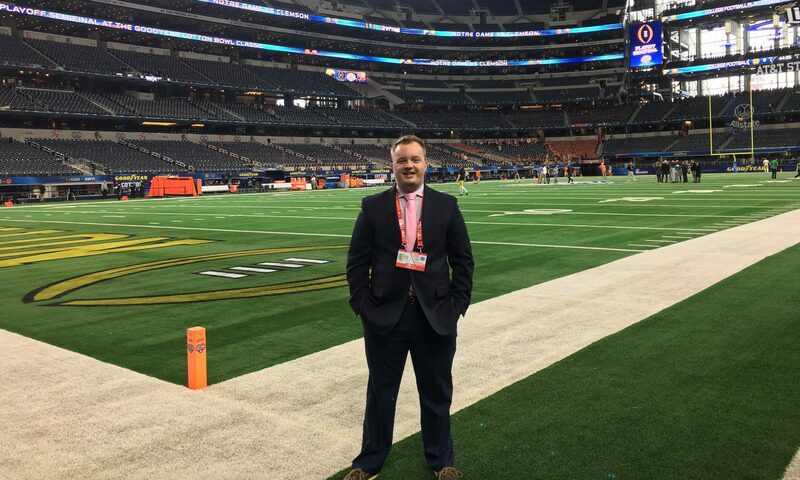 I read some of the mock drafts this year, and I saw, at one point or another, the Chicago Bears taking Shane Ray, Randy Gregory, Marcus Mariota, Amari Cooper, Vic Beasley, Leonard Williams, or Kevin White. They eventually took the White, but still, you get my point. The NFL Combine then rolls around, and we judge players on their 40-yard dash speed, broad jump, and how well they can play their position in a t-shirt and shorts. If someone runs a fast 40-yard dash, they’re instantly higher on people’s boards. How does running 40 yards in a straight line judge if you’re a good football player or not? The same stuff can be said for a player’s Pro Day, which is basically a lesser version of the Combine. I’m glad Jameis Winston looked good throwing the ball on scripted routes in a shirt and shorts. Lets see what happens when JJ Watt is running at his face and then judge if he’s a good quarterback or not. Don’t get me wrong; I’ve been guilty of buying in to the hype too. I even admitted I read those mock drafts and saw all the players the Bears were going to take this year. We have to start realizing, though, that we put way too much stock into what happens on these three days. If a team has a perceived “good draft,” they’re instantly thought of as a team that could make the playoffs. In reality, are teams like Tampa Bay and Tennessee going to be in the playoffs this upcoming season? Probably not. But since they had “good drafts,” they could be playoff contenders. Lets all just slow down here and wait to see if these guys pan out. It’s hard to change old habits, and now that the NFL knows that they’re the biggest sport, I don’t see this getting any better. The day will come where each round gets its own day, making the draft a weeklong event. Every round will be in primetime too, helping the NFL capitalize on its moneymaking abilities. And the saddest part of it all is that each round will be the highest rated show that evening. Because people can’t get enough of the NFL, and the NFL knows it. Previous PostPrevious Can the Bulls Finally Do It?